We are expert in developing custom content management system along with ready open source CMS customization or any other CMS development services. CMS allows you to control your website from the backend control/tool. CMS gives you the ability to add, remove and edit photos, text and videos. This enables you to keep your site’s content fresh so that visitors – and search engines – see that your site is constantly kept up-to-date without any developers help. Today’s CMS systems even let you edit HTML right on your site, if you want. If not, they can be configured to let you quickly and easily edit certain areas or documents – and you can still route more complex requests to developers. We can place CMS in your website in two ways. We can create custom content management according to your need or we can install readily available CMS like WordPress, Joomla & Drupal and can customize which is most essential for all web development companies. 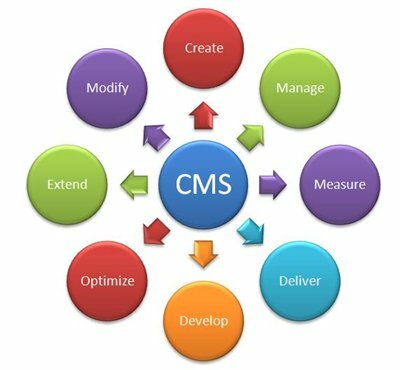 Our expert CMS development team has the experience of creating some of the most advanced and complex CMS solutions in the industry. Our custom CMS development services comes at a very affordable price along with 100% customer satisfaction guarantee. Having a hard time finding expertise for your project? EDS is ready to provide highly competent developers to fill your position, whether it is for PHP, JSP, Java, Flash, FLEX, Graphic Design, Animation or general web development.